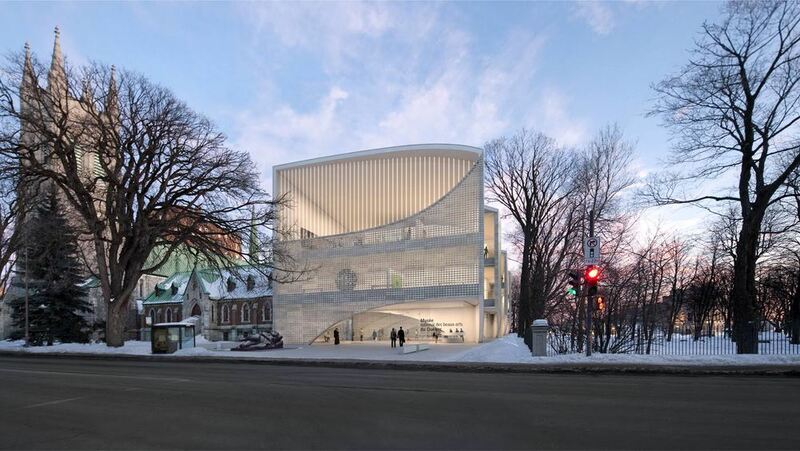 Our newest Inspired By: feature highlights the Musée National des beaux-arts du Quebec by Allied Works Architects. The Musée national des beaux-arts du Québec (MNBAQ) is the primary art museum of Québec. 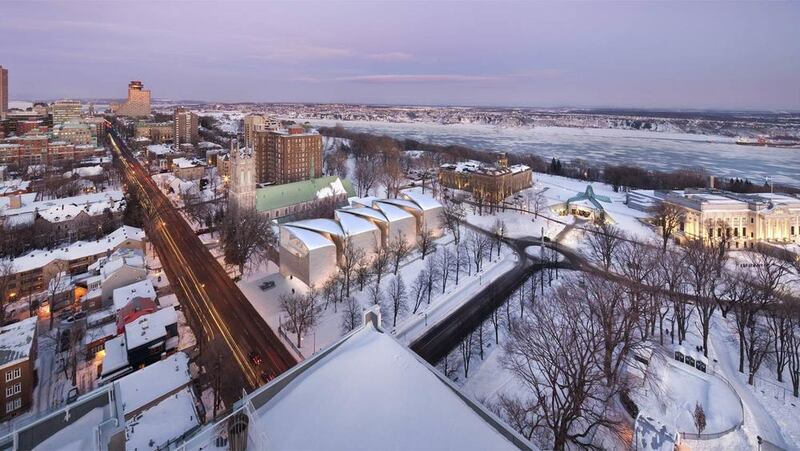 The museum sits in a park overlooking the St. Lawrence River and the Plains of Abraham, site of a 1759 battle that changed the course of Canada’s history. Allied Works proposal for a new 110,000 s.f. 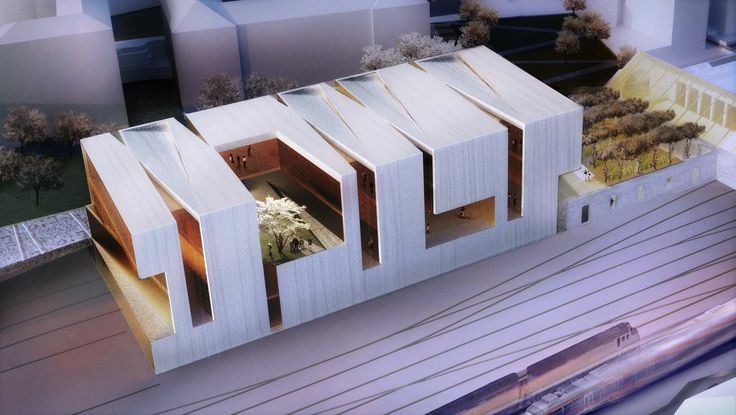 pavilion contains new space for temporary exhibition, permanent collection galleries and public assembly. The new pavilion is formed by a series of five interlocking, cantilevered concrete shells that rise from the native bedrock. 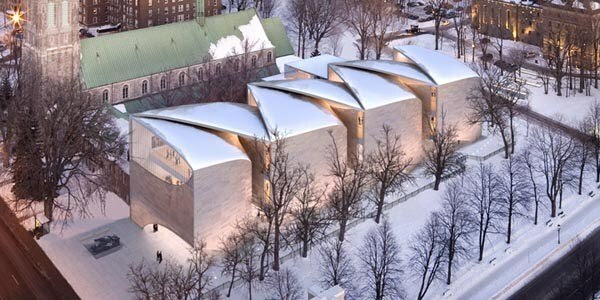 The form opens to the Grande Allée, Québec’s principal street, serving as a gateway to the museum’s three existing buildings. 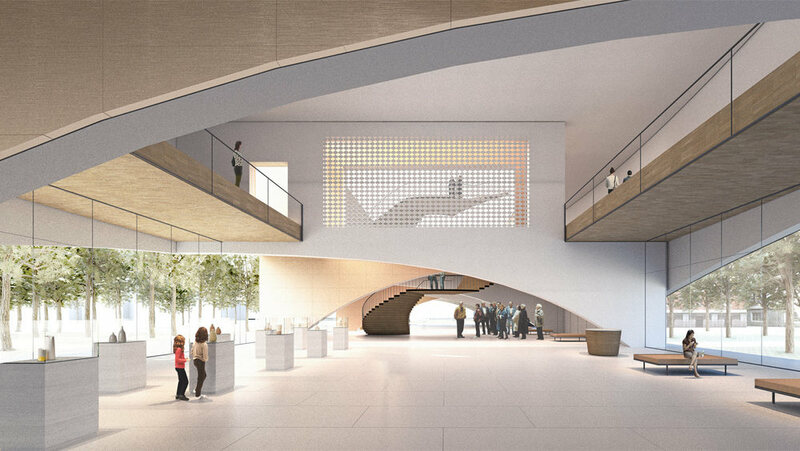 At the heart of the pavilion, the Grand Hall creates a major new event space for the city and provides views into the galleries above North facing openings, created by the vaulted forms, provide indirect natural light to the exhibition spaces. 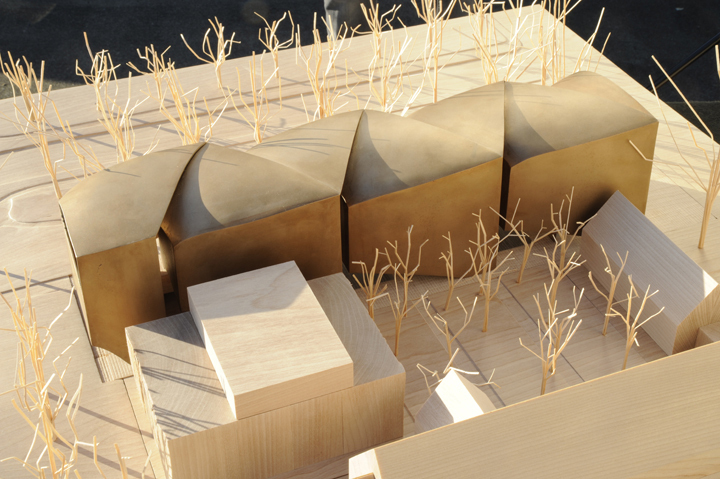 The shells cantilever at the ground floor, opening the museum to the park and to a landscaped courtyard between the new pavilion and the neighboring Dominican church. Adjacent to the courtyard, a new garden pavilion houses a café, bookstore, and support spaces for the museum. 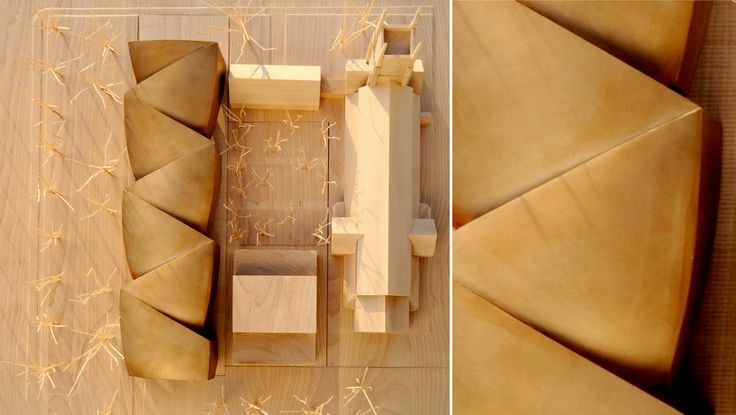 The proposal for the new pavilion creates a threshold for art – a bridge between city and museum, between architecture and landscape, between old and new. The building is a braid of structure and light that binds the specific forces of landscape, history and art into one calm, powerful and entirely new form. 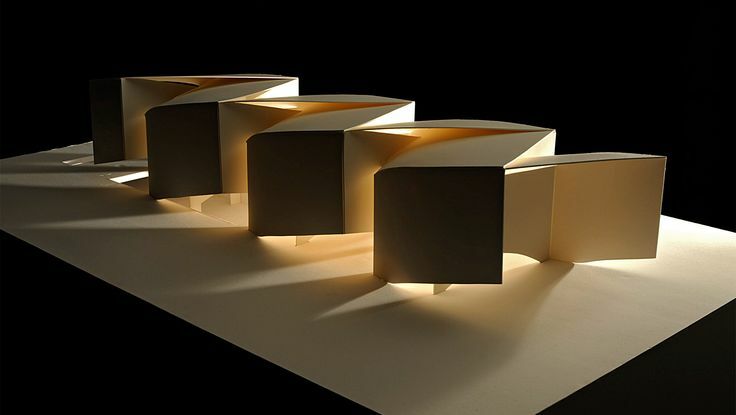 Visit Allied Works Architecture's website and read more here.